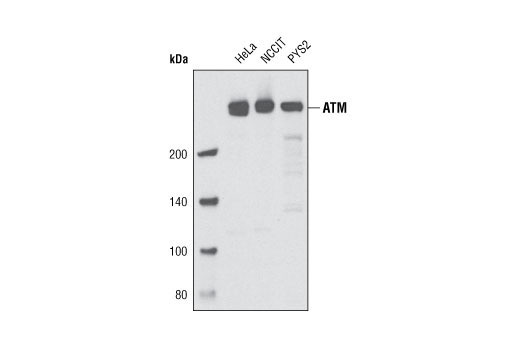 Western blot analysis of extracts of HeLa, NCCIT and PYS2 cells using ATM (D2E2) Rabbit mAb. ATM (D2E2) Rabbit mAb detects endogenous levels of total ATM protein. Monoclonal antibody is produced by immunizing animals with recombinant human ATM.